If you are looking for more information on activities and services on Sal Island and Santa Maria, Cape Verde, you'll find this under 'What's On - Sal Island' on the right side of this page. A section of the road along Rua 1 de Junho is being pedestrianised (May/June 2018) making it safer for tourists wishing to amble along the road and for the restaurants and bars in that area to offer services outside their restaurant or bar. 3. Be aware of what you handle before eating food. 4. Don't bite your nails. 5. If there are lots of flies about be extra wary. 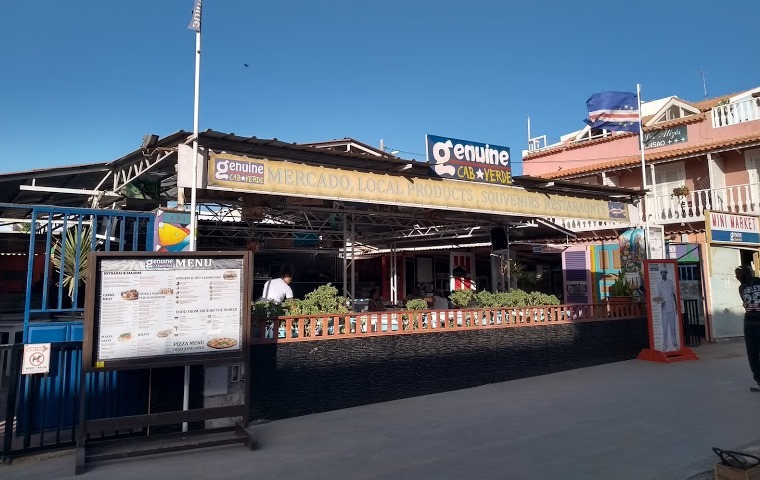 A number of bars and restaurants will provide 'happy hour', 'special promotions', 'special events' or other offers on food and /or drink, either on a regular basis or as a one off 'promotional offer'. 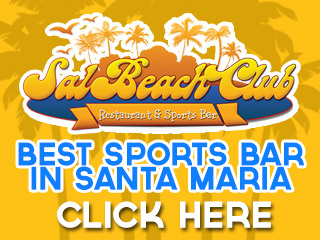 There are also bars and restaurants which show sports coverage of football, or other sports or major events. They may also provide live music. You can book dinner in advance in some All Inclusive hotels. At B&B or half board hotels you can also enquire about booking a table for dinner and choose from the menu. Some hotels may also provide other forms of entertainment which you can enjoy after dinner. Advertisers: please be aware that links to Social Media sites may distract visitors away from your business. Bar da Praia (in front of Oasis Atlantico Hotels - Belorizonte). Lanchonette d'Angela.........self service buffet lunchtime, BBQ on weekends. NOTE: Papayas Restaurant (closed for refurbishment) - walk through Porto Antigo 1 complex to harbour wall. Snack Bar Bilu (between Hotel Odjo d'Agua and outdoor market). Pensao Porto do Vento - rear of Enacol Garage, on new road. Bons Amigos - off side street at far end of road. There are many other smaller local cafe's and restaurants in and around Santa Maria.